What is CranioSacral Therapy? How does it help? CranioSacral Therapy is a gentle, non-invasive hands-on practice that can provide profound, and long lasting healing results for many patients with chronic pain. Typical physical problems treated are; TMJ syndrome, migraine headaches, back and neck pain, and traumatic injury to the head or body. 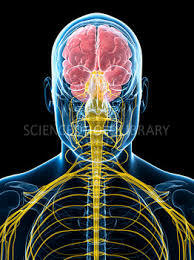 The Craniosacral practitioner is trained to read the cranial rhythm of the body. It is separate and distinct from the breath rate and heart beat. By putting hands on gently, the practitioner can feel this rhythm anywhere in the body. In particular, the therapist is looking for a lack of this rhythm, and by treating those areas he/she can treat the source of a wide range of physical problems, rather the just the symptoms. Back pain can be one of the most chronic and debilitating forms of ill health a person can experience. When someone is experiencing back problems it tends to make life a challenge, and nothing else seems to go right. Whether it is disk problems, sciatica, scoliosis, or muscle spasms, the pain can be so distracting that your whole day is formed around trying to get around the annoyance and discomfort. Does this ring a bell with you, or with someone you know? Well, the good news is that Craniosacral Therapy has helped countless people be relieved of their suffering, and regain their joy and zeal for life. When the weather turns sunny and warm we all want to kick up our heels and spend some quality time outdoors. But sinus trouble can put a damper on our wonderful plans. When the pressure, pain, dripping and sneezing begins it’s difficult to be outside, let alone having any fun. Never fear, Craniosacral therapy is here! Through the light touch of Craniosacral treatment many sinus sufferers have found tremendous relief. A mother and baby usually share a beautiful, peaceful bonding experience every time her child nurses. When that experience is compromised, the results can be stressful, and even heart breaking, for both parents and their child. Craniosacral therapy can dramatically help nursing problems. Through gentle touch, most times less than 1 gram, baby can regain the proper sucking and drinking mechanics to enjoy a pain free and happy nursing experience. There is a new wave of awareness in the allopathic and complementary health communities that will greatly benefit everyone who seeks treatment. This new way of thinking is one that keeps the client’s individual health goals as highest priority, and also maintains strong communication between all practitioners involved.